1. 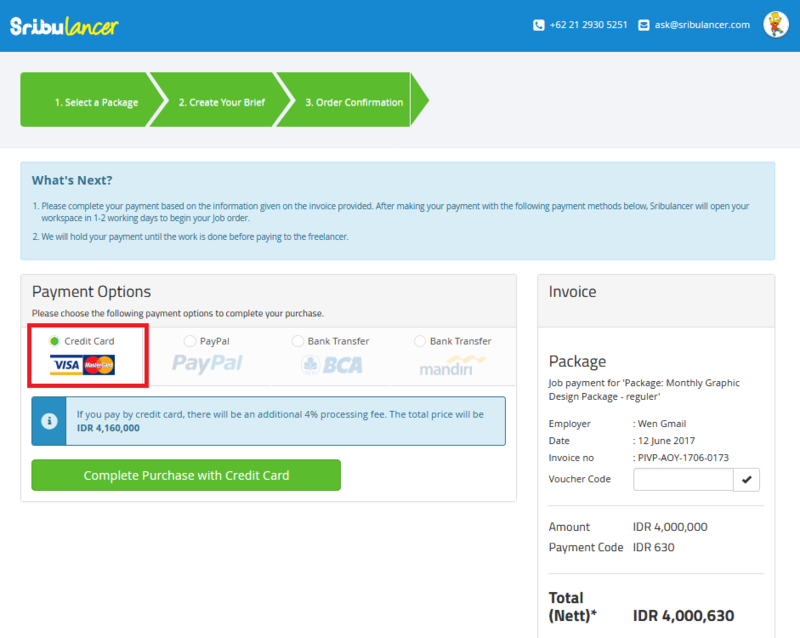 Select "Credit Card" or the logo Visa/Master and click "Complete Purchase With Credit Card". 2. Follow the payment steps by completing the information in the provided space. Click "Confirm payment" to proceed. 3. After the payment has been confirmed (1 x 24hour) , you will receive and email confirmation from Sribulancer and a workspace has been opened for you. Note: Additional credit card surcharge of 4% applies. 1. 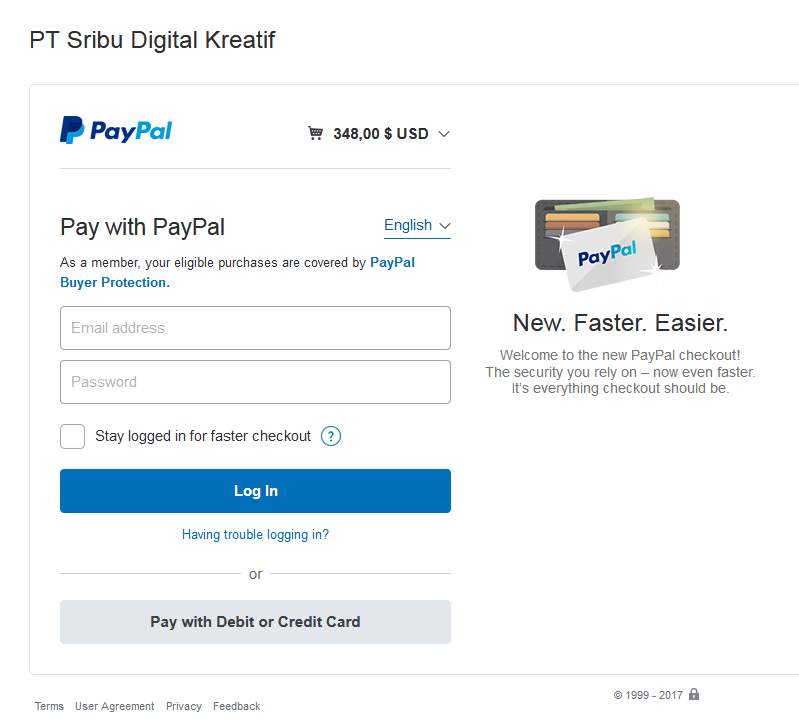 Choose "Paypal" or the logo PayPal and click “Pay with PayPal”. 2. You will be directed to PayPal payment page. Fill out all the information and login to your PayPal account complete your purchase. 1. 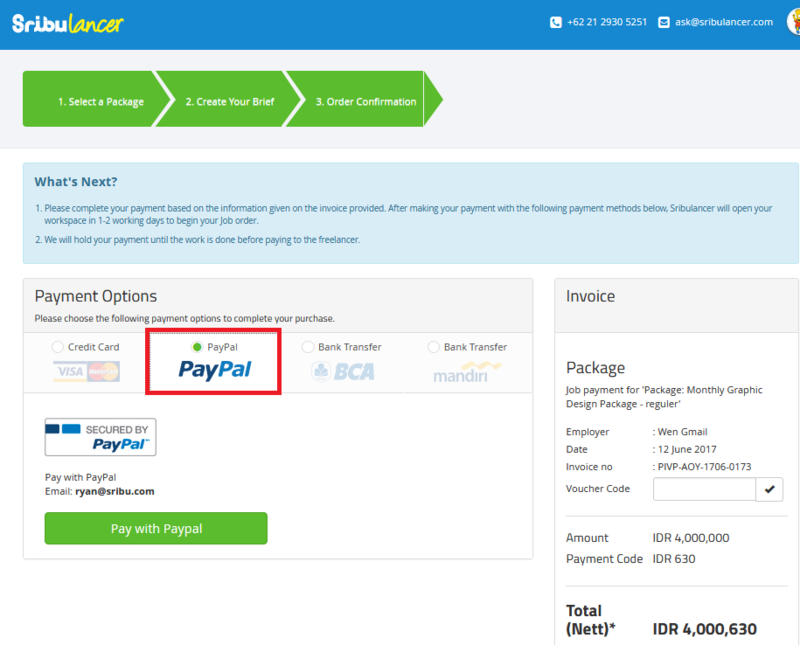 Choose “Bank Transfer” as preferred, BCA or Mandiri. Record the account information under the name PT. Sribu Digital Kreatif accordingly. 2. 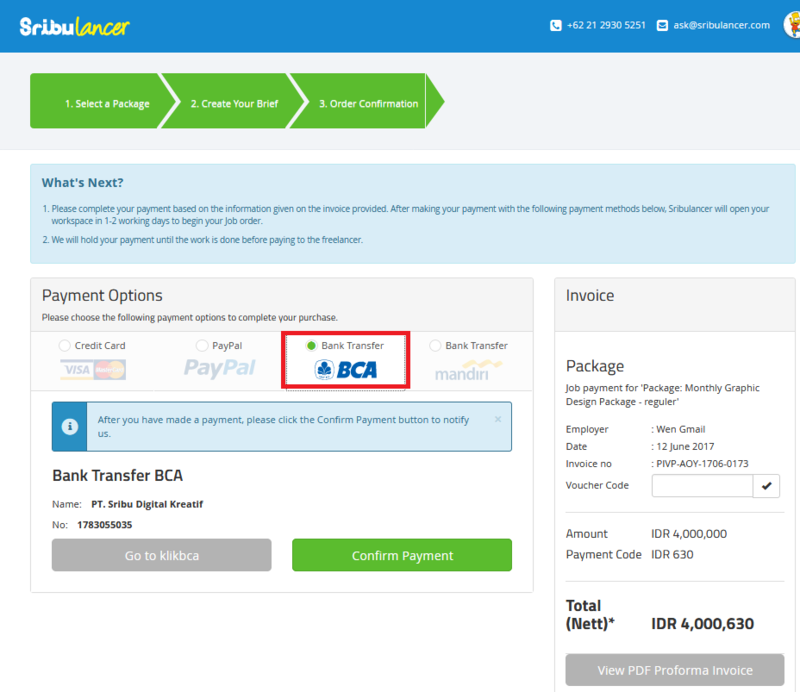 Sribulancer website is also equipped with online payment feature for both BCA and Mandiri. Please proceed to complete the payment using online banking system or manual transfer to our account. 3. 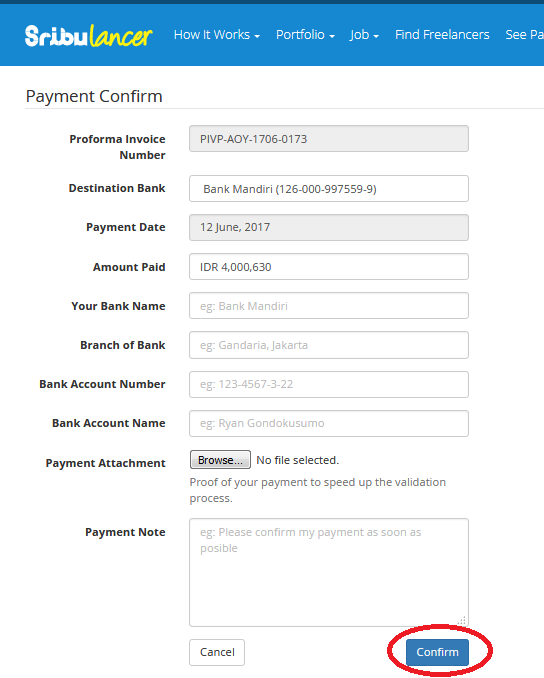 Afer you've made the payment using bank transfer, confirm your payment by filling out the form and click " Confirm Payment". 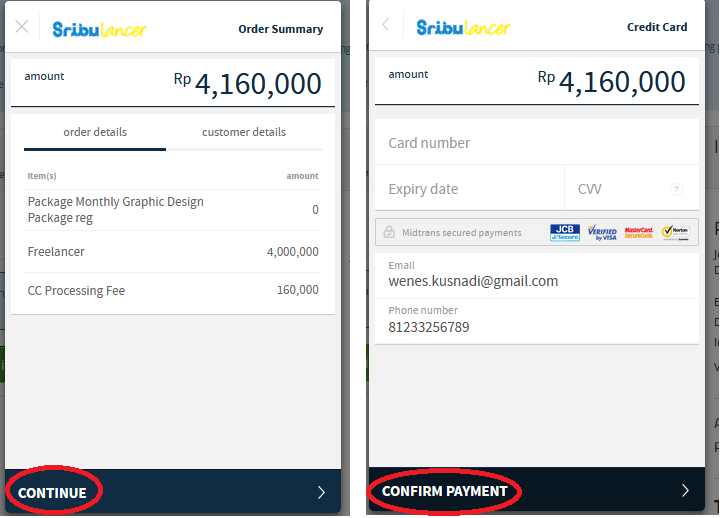 You may also access the "Invoice" menu at anytime to confirm the payment. 4. 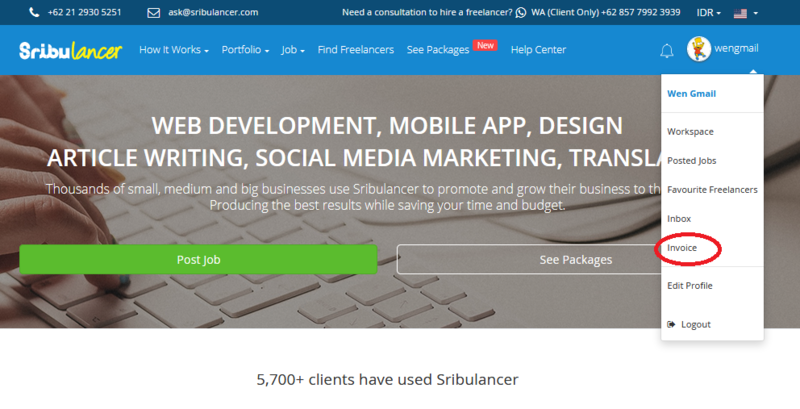 After the payment has been confirmed (1 x 24hour) , you will receive and email confirmation from Sribulancer and a workspace has been opened for you.